From Rt. 113 Millsboro: Take Rt. 24 east to Long Neck Rd. (Rt. 5). Turn right at the light and go about 3 miles. 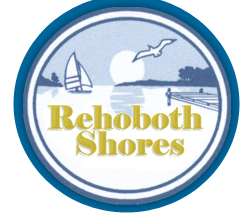 Rehoboth Shores is on the left. From Rt. 1 Midway/Rehoboth Beach: Take Rt. 24 west to Long Neck Rd. (Rt. 5) Turn Left at the light and go about 3 miles. Rehoboth Shores is on the left. From Baltimore: take Rt 50 over the Bay Bridge to Rt 404 east. to Georgetown, De. Turn right onto Rt. 113 south to Millsboro, Turn left onto Rt. 24 and go east to Long Neck Road. From Philadelphia: take I 95 to DE Rt. 1 south. Follow Rt 1 through Dover south to Lewes. Turn right onto Rt. 24, which is between Lewes and Rehoboth. Head west on Rt. 24 to Long Neck Road.